Steven Moffat Appointed OBE In Queen's Birthday Honours List | Warped Factor - Words in the Key of Geek. 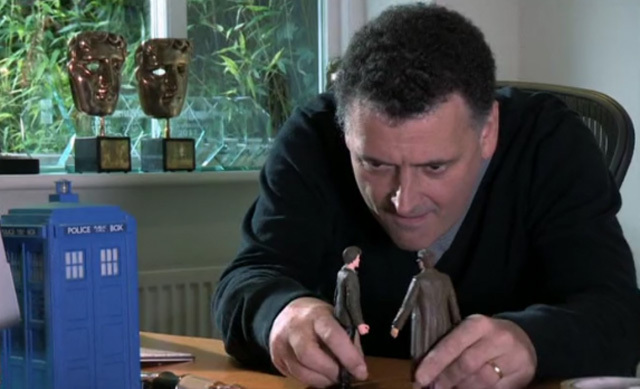 Doctor Who and Sherlock show-runner Steven Moffat is to be honoured with a prestigious OBE for his services to drama. "I never thought I would get something like this. I’m astonished and more thrilled than I ever thought someone like me would be. I’m not the least bit cynical, or the least bit trying to be cool about it. I’m just really, really happy." "We’re thrilled to see Steven’s creative brilliance being recognised today. Not only has he enthralled countless millions of viewers across the world, he has helped rocket-boost the Welsh creative sector, inspiring a new generation of talent here in Wales to make their mark on the global stage. I’m so delighted to see his remarkable achievements being honoured." Also named in this year's Queen's Birthday Honours List is Benedict Cumberbatch, who will receive a CBE (Commander of the Most Excellent Order of the British Empire) for services to the performing arts and to charity. Congratulations to both Steven and Benedict.